Just ME: A very Pinkfresh holiday! 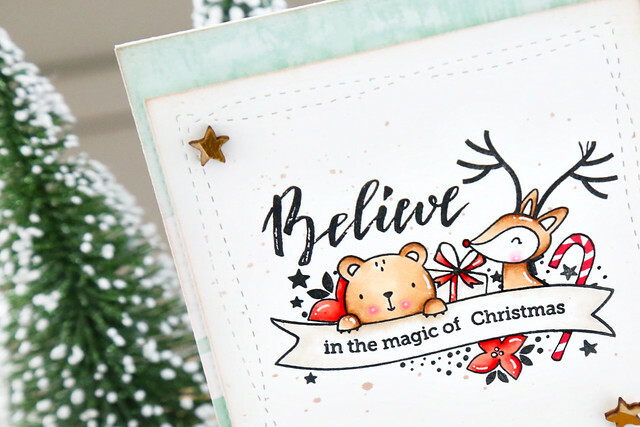 I'm here and on the Pinkfresh blog today, with 2 holiday cards using stamps from their newest release. I used the banner from December Days, the little critters from Forest Friends, and a sentiment from Simple Joy. This took some creative masking, but I love how it turned out! I started out by stamping the bear and the deer first, masking them, and then stamping the banner. This card was so much fun to make and I love how whimsical it is! 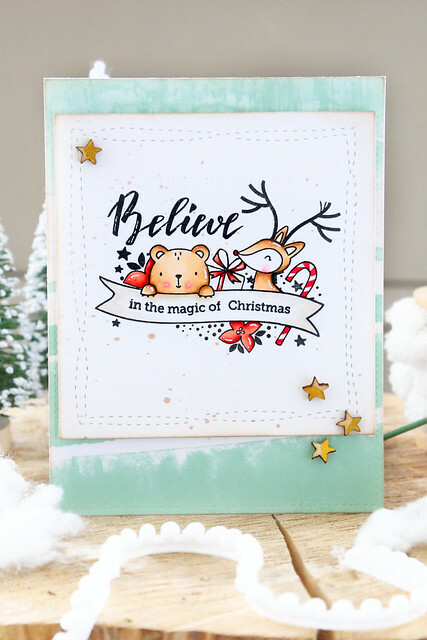 My second card also uses December Days, check it out on their blog today - click! That is such a sweet little Christmas image Elena. This is an adorable card !